Fusion Art 808 is a family owned Hawaii themed decorative entrance art company, formerly know as Pacific Ornamental Iron Craft, which specializes in aluminum fusion and metal work. Pacific Ornamental Iron Craft, a family owned business, was founded in 1977. After his father retired, Clarence took over the business. Beginning his apprenticeship in 1975 at the tender age of 9, Clarence has many years experience in metal work. This combined with his Natural Art Talent, has inspired Clarence to create the three dimensional handmade works of art you see today! The end results are beautiful, one of a kind, original pieces of art. Clarence states, "Fusion in my definition, is a marriage of something as delicate as nature and applying it to the industrial arts of metal working." MADE WITH ALOHA We provide complete services with quality workmanship and attention to detail. 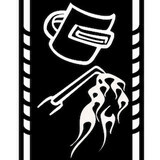 We offer unlimited design options in traditional ornamental or decorative metal work. We have the experience and knowledge backed by our resources to be competitive in prices. Please feel free to contact us, we look forward to hearing from you! As one of the leading vinyl fencing companies in Hawaii, we use the most scientifically advanced vinyl products available when installing your vinyl fence and fencing products, providing you more durability and peace of mind. Our installation crews are trained in Best Vinyl’s proprietary installation process and are the best in Hawaii. It is easier now than ever to get your vinyl fence in Hawaii with our 90 days same-as-cash financing option. 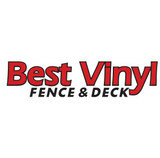 Best Vinyl is devoted to ensuring that buying a vinyl fence is a pleasant and pain-free experience to Hawaii residents. Living in Hawaii, we love our trade wind, beautiful sunshine & the occasional rainfall. It is what makes Hawaii a Paradise. However, all these natural elements also bring us an unwelcoming problem . The salt air and rain causes your wood fence to rot; corrosion start to build up and cause your cast iron railing & gate to rust and fall apart; Slowly, your wood deck begin to leak...... You probably had repainted or replaced it several time. The real solution is to replace it with our powder coated aluminum products. From many solid color to the natural wood grain finish , you can add beauty and strength to your home and commercial building. Better yet, it is low maintenance , no rust or termite. You don't need to replace it ever again. Kunkelworks is proud to introduce to you Carports, Patio Covers, Gates and Fences from Japan. While these products have been used and tested in Japan for decades, they are brand new to America and you are among the first to know about it! These products have been a welcome addition to the Hawaii landscape since 1998. The success of these products has been due to the innovative product technology and design of these unique products. Wherever humidity, rain, termites, salty air or intense sunshine pose a threat to outdoor structures, materials such as Poly Carbonate (Lexan) and corrosion resistant Aluminum Alloy make sense! To order any of these products or to receive an estimate please contact us. All Kind Fencing L.L.C. is a fence installation business that began over 10 years ago. The business was started due to Jan noticing that many fences on the island were deteriorating. All Kind Fencing L.L.C specializes in the installation of vinyl, chain-link, and wooden fences, along with building gates, garbage enclosures, dog kennels and advertising signs. As a company that prides itself on quality fencing at very competitive pricing, All Kind Fencing L.L.C is here to meet any of your fencing or deck needs. I started this business along with my partner because we recognized the need for a versatile fence company that will focus on quality and customer satisfaction over all else. We have been working in the fence business over 10 years combined. We see many poorly built fences all around Oahu that are literally falling apart due to bad installation. If your fence is one of those fence's that's falling apart or your looking into building a fence contact us we will be happy to give you advice or a quote or both. Our motto is "I say what I do and do what I say." Mahalo we are excited to work with you! We are known for our high quality fence, gate & gate operator products w/ fast, reliable, trustworthy & outstanding customer service in Fencing Industry. We offer a proud tradition of quality and service to our customers and clients. We are confident and proud that our fences are built to the highest standards in the industry. We are professional, affordable Fencing, Gate and Railing Specialists. You do not have to sacrifice quality to afford your Fence Renovation or Project. We are an established company with strong work ethics and we love what we do and it shows in our work. Fences by Robert specializes in home improvement, fencing, bathroom remodeling, kitchen remodeling, basement remodeling work. Financing options are available. Our mission is to provide the best quality railings and gates at the most reasonable cost possible using quality metals that will retain lasting quality with less maintenance than galvanized products. You have probably have heard "Steel is for Real" - well, so is rust, that is why you should call us. If an architect can draw it we can and will install and build it! Your Honolulu, HI fence installation and repair professional will work with you to create your ideal fence. Fence installation or replacement. If you are in the market for a brand new fence, a contractor’s services will include walking you through various fence styles and materials, determining a suitable height, ensuring that all fence designs and plans are compliant with Hawaii building codes, and that the fencing meets both your stylistic and security needs as the homeowner. Fences and gates must complement the grade of your property as well as the type of soil you have, so the contractor should always plan around these considerations. Additionally, if you don’t know exactly where your property lines are, he or she can commission a survey for you. Find a fence contractor in Honolulu, HI on Houzz. 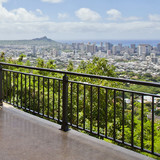 Narrow your search in the Professionals section of the website to Honolulu, HI fence contractors. You can also look through Honolulu, HI photos to find examples of fencing and gates that you like, then contact the professional who worked on them.